From the highest mountain pass in Slovenia, the world is a soothing spectrum of hinterland greens, precipice blues and alpine whites. 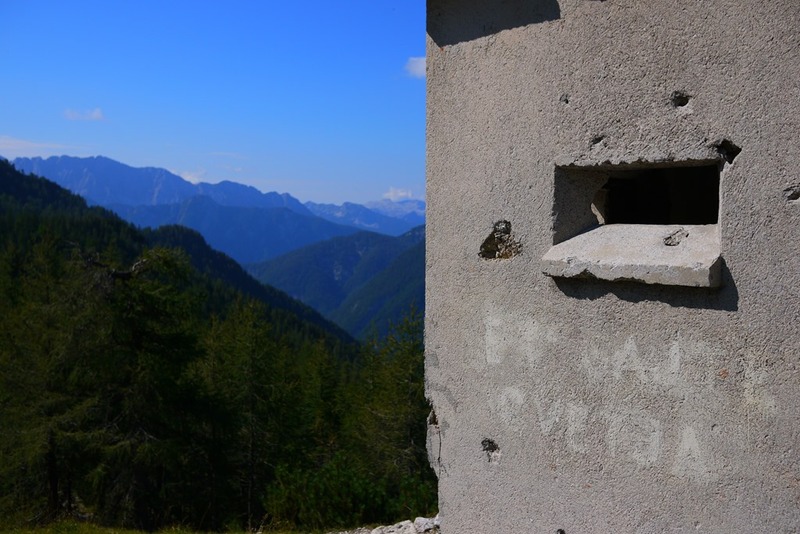 Here, in the northern corner of Slovenia, beside the Italian and Austrian borders, silence drifts between the rugged pine slopes of Triglav National Park and the glimmering limestone peaks of the Julian Alps. It is only mid-morning and our small 3Glav Adventures Emerald River Adventure group has already driven through husky gold fields and deep woodland groves. 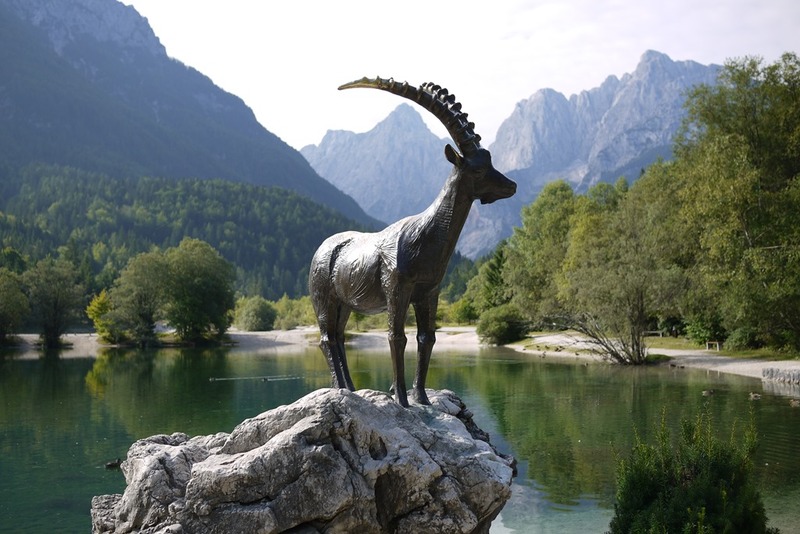 We’ve gazed into the glassy surface of Jasna Lake and met the mystical gold-horned guardian of the land. Our ears have learnt the legend of the Russian Chapel and our legs have hiked the Vrsic Mountain Pass to admire this majestic view. As I inhale the tranquil space before me, l’m yet to realise that this will be the first of many ‘wow’ moments during my Emerald River Adventure. 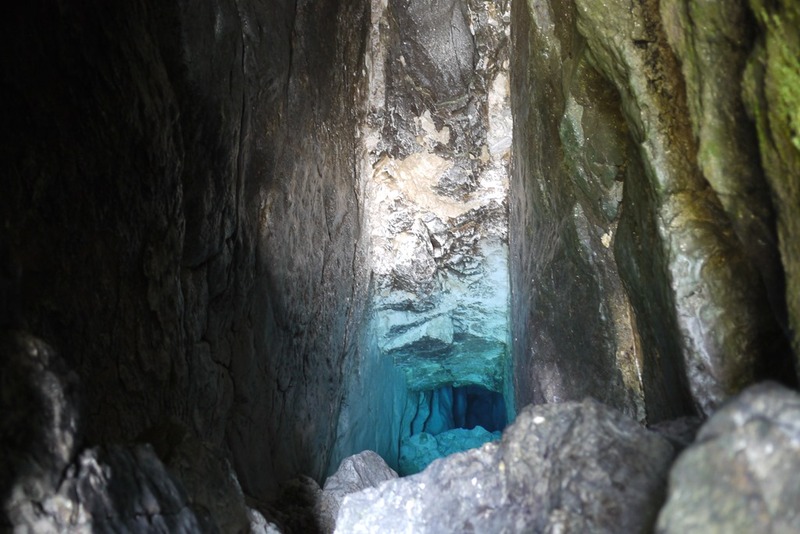 Descending from our mountain perch, we seek the icy aqua source of the River Soča in a deep rocky crevice, and follow it by road through the Trenta Valley, where it bends into gorges that it forged millions of years ago. 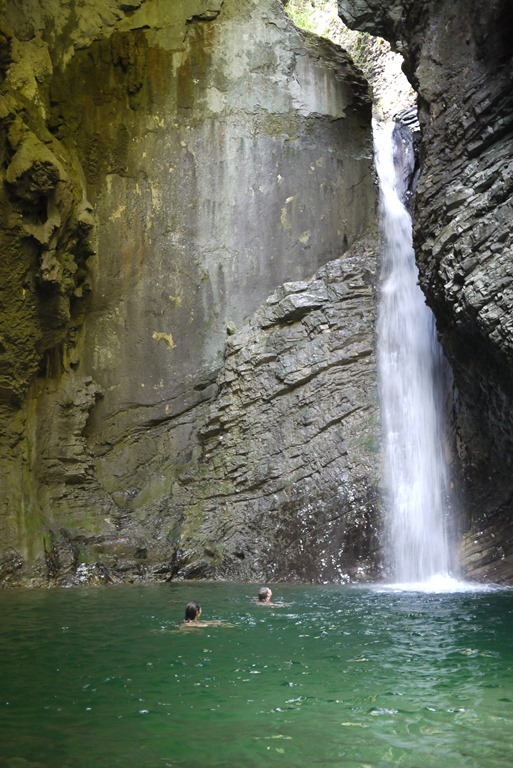 Eventually the emerald ribbon curls beyond sight, towards the distant sea, but not before it fills waterfalls hiding in mossy caverns and spills into dark pools that beckon thrill-seekers to plunge from heights above. 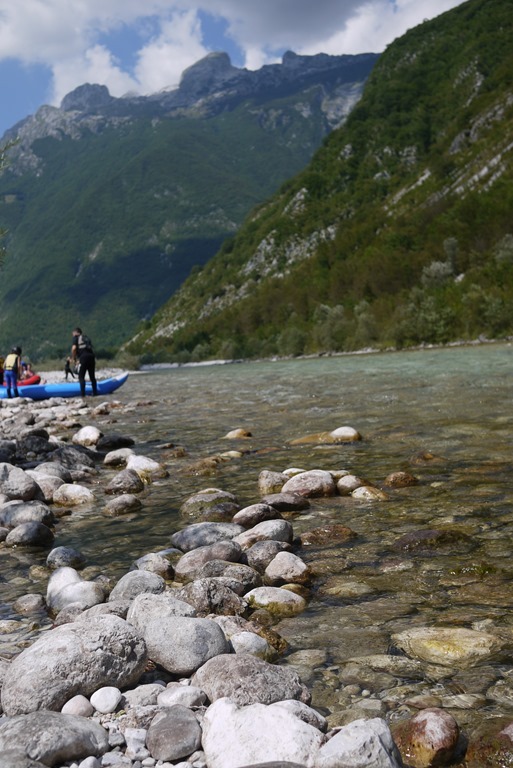 After a lunch of ćevapčići with ajvar in the peak encircled town of Bovec, our group finally greets the emerald waters that we have been following all morning. Most of the group enjoy a couple of hours of scenic white water rafting, while the rest of us dive from boulders into mini rapids that have been cooled to about ten degrees Celsius from the mountain stone. 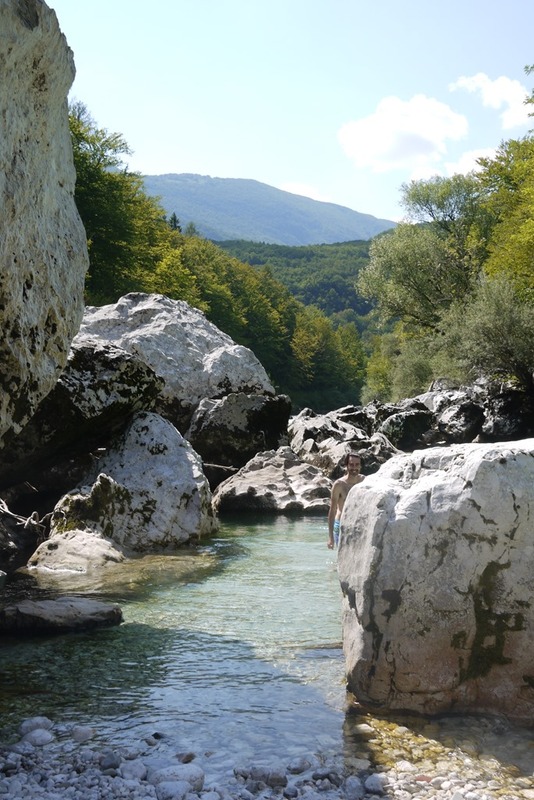 Once suitably chilled by the alpine waters, we take another hike through the brochure-worthy landscape; past a World War One fortress, through dappled forests, across a spine-tingling suspension bridge and along boarded paths, before diving into a cobalt pool beneath Kozjak Waterfall. More delightful attractions lead us to our novel ride home – a car-train that cuts through the stoic mountains as we sit comfortably in our van. As the sun-drenched afternoon fades into purple alpine shadows, the tracks twist between slopes and gullies, through 6327 metres of impenetrable inner-mountain blackness and past dandelion-dotted meadows that sing with happiness. 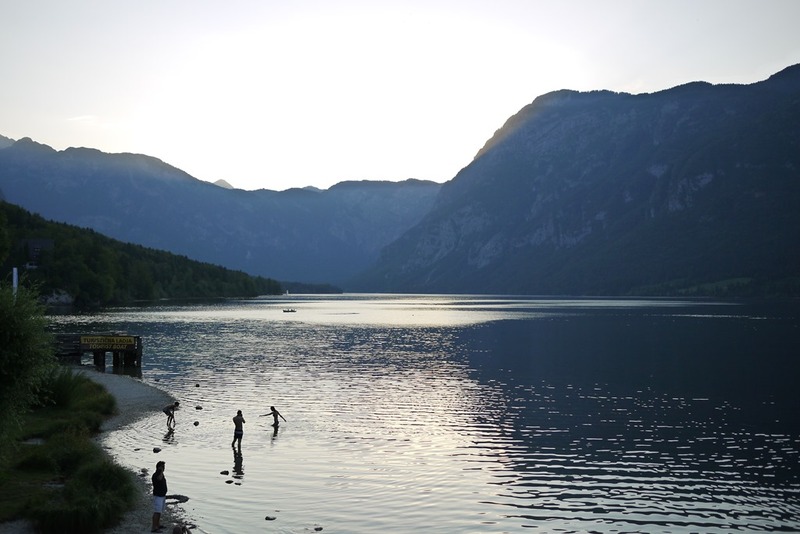 After disembarking from the car-train, our final stop for the day is at Lake Bohinj, where the dying light plays gently on the surface of the green waters and the white church tower glows in the dim. 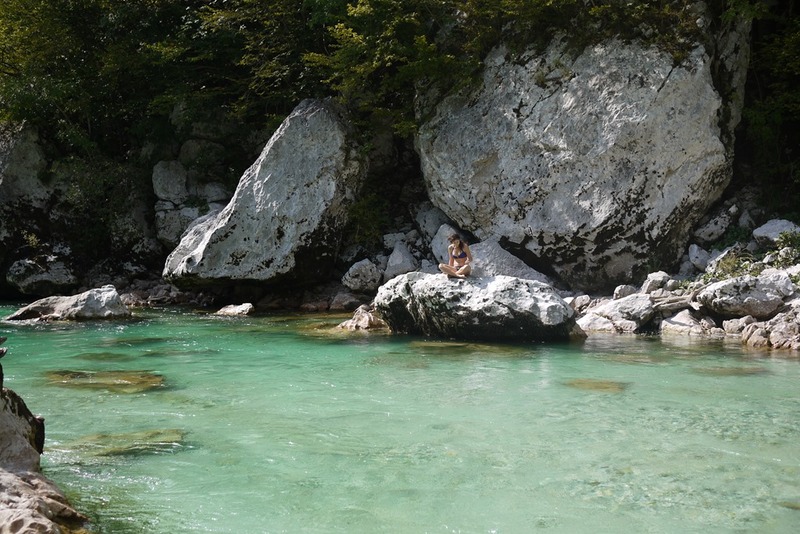 It took less than 12 hours on the Emerald River Adventure to bewitch my nature-loving soul and convince me that Triglav National Park must be one of the most stunning natural beauties in the world. I found my adoration was shared by the locals, who passionately protect and enjoy their alpine playground. 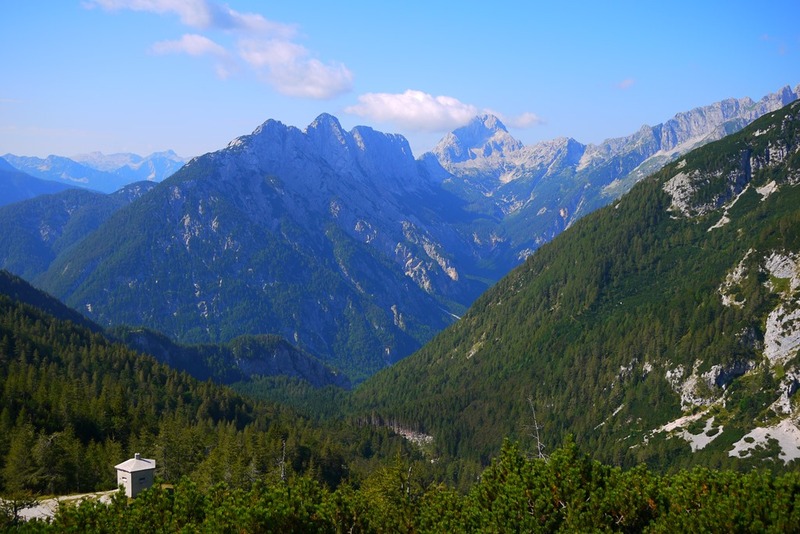 The Slovenian pride in the land filters into culture and lifestyle norms, such as eating wholesome garden-grown vegetables, keeping the streets litter free and spending recreational time on a mountain trail or in a crystal-clear creek. 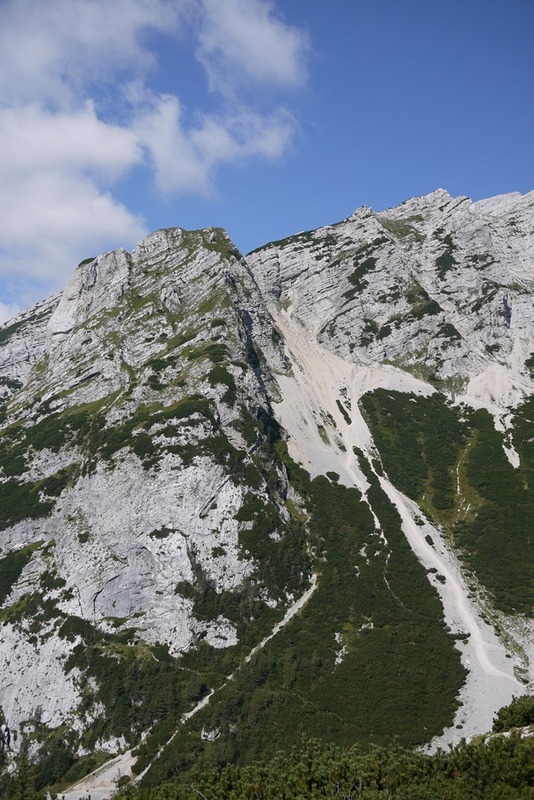 It was such a pleasure to see some of the best natural delights on offer in a nation that has more than half of its area covered by forest and a national park, Triglav, occupying 4% of the nation. This post has been kindly sponsored by the thrill-seeking, nature-loving folks at 3glav Adventures in Bled. A very warm thanks to Domen and the team at 3Glav for hosting me on such an awesome adventure; there is no doubting that I will be back for more! 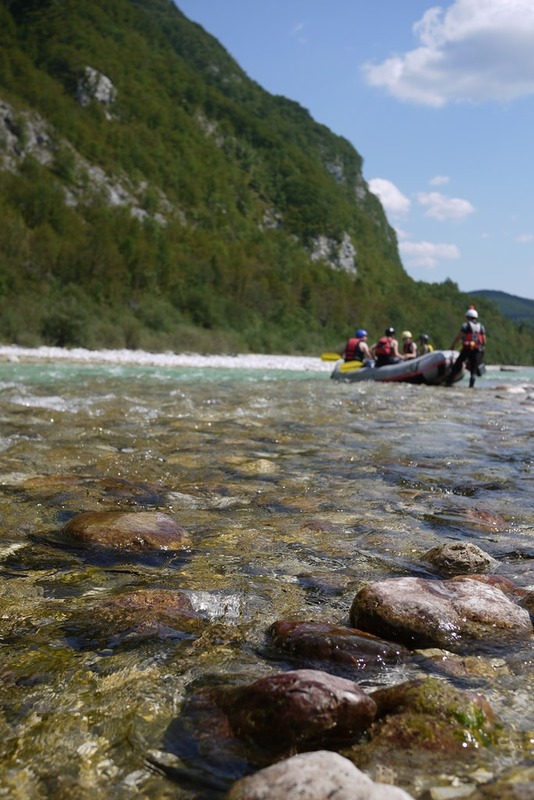 You can find out more about 3Glav’s Emerald River Adventure on their website, or drop by their office at Ljubljanska 1, in the centre of Bled, Slovenia. I’m so envious, Nic! Each time I come by I’ll never fail to drop by the “About” page to re-affirm that you’re a travel writer – doing the things that I’ll love to do and have not been able to! 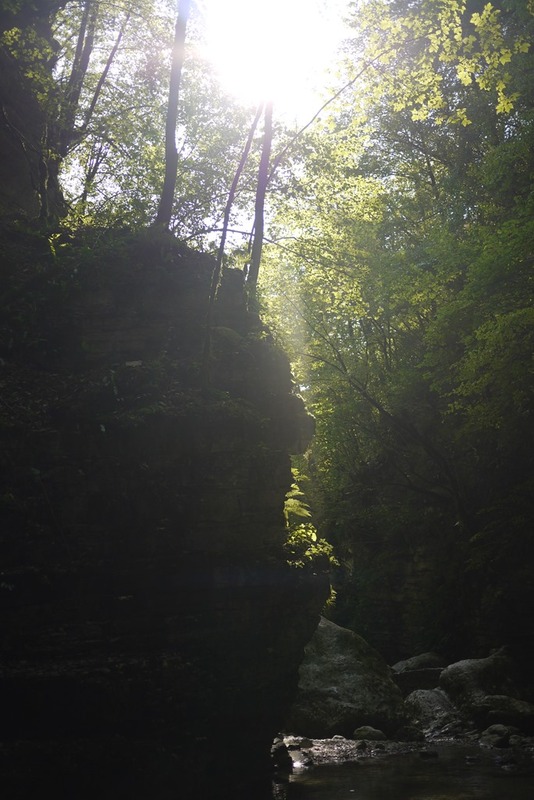 Thank you so much for sharing all these photos, stories and tips for travelling! 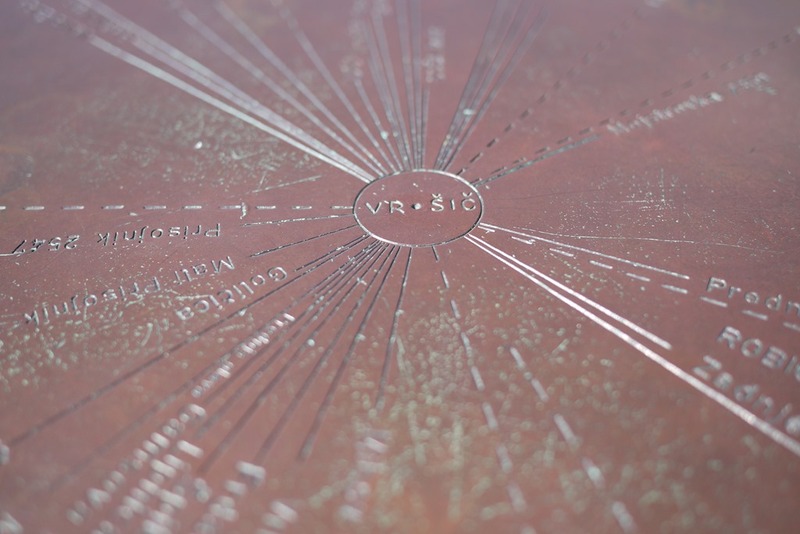 Thanks RR – sorry to make you envious, but this one is really something to long for! Really appreciate your kind comment. Travel writing is something I’ve dreamed of doing since I was very young and I love every day I am able to travel and share my experiences. Thanks Lexington82 – so glad you think I’ve covered it well. What a great trip! I’m surprised that more people haven’t heard of Bled and Slovenia, let alone travelled there, but expect it won’t be a secret for much longer. Thanks for reading! I had no idea this area was so incredibly beautiful. Thanks so much for posting these! You are very welcome Maggie – it is certainly one of the most beautiful places I’ve seen in my travels. 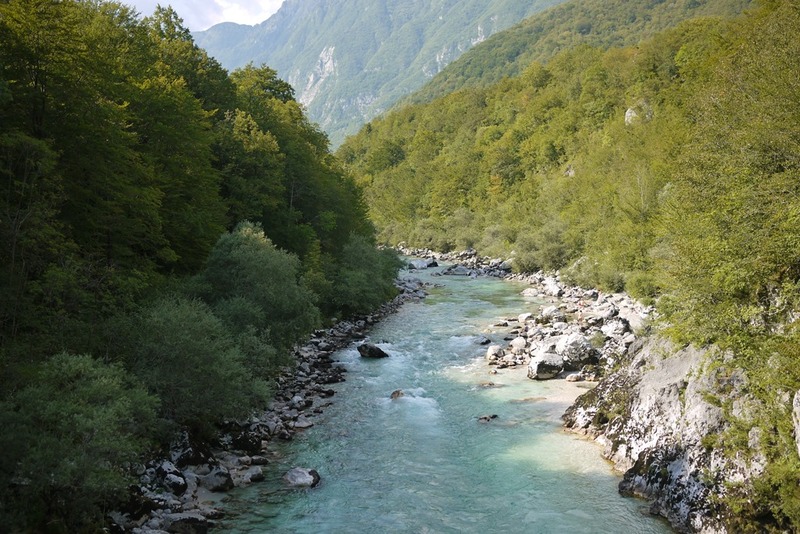 Lovely photos – I only saw the soca river from the train window and couldn’t believe how blue it was. Very jealous of you for jumping in! My favourite part of the world too. 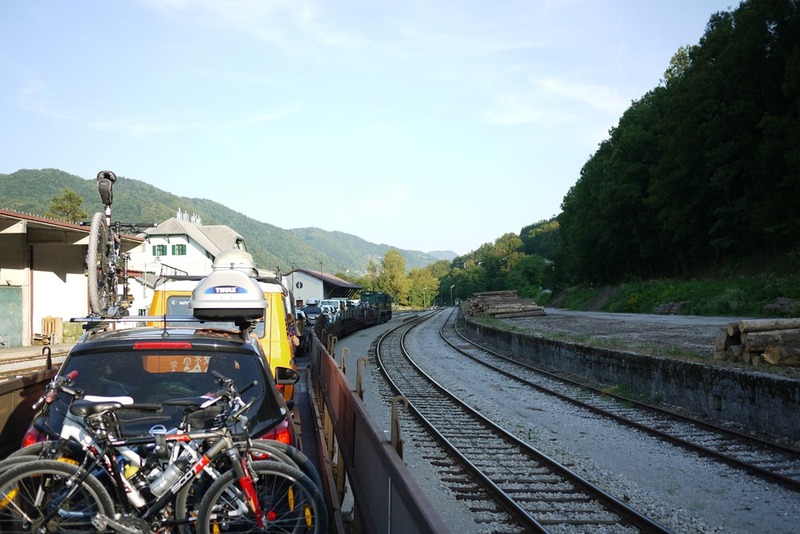 My recent trip to Slovenia was actually inspired a couple of years ago when I took a train from Prague to Zagreb, stopping for an hour on the scenic platform at Zidani Most. The glassy green river and mist-shrouded peaks told me I would be back to see more of the country. After seeing more of this quiet corner of Europe, I’m hooked and will be back for more. You would love it there Kel, it’s your kind of place: pristine, wild, adventurous and soothing to the soul. That’s just the heaven you shot ! Incredible . . . Hats off .